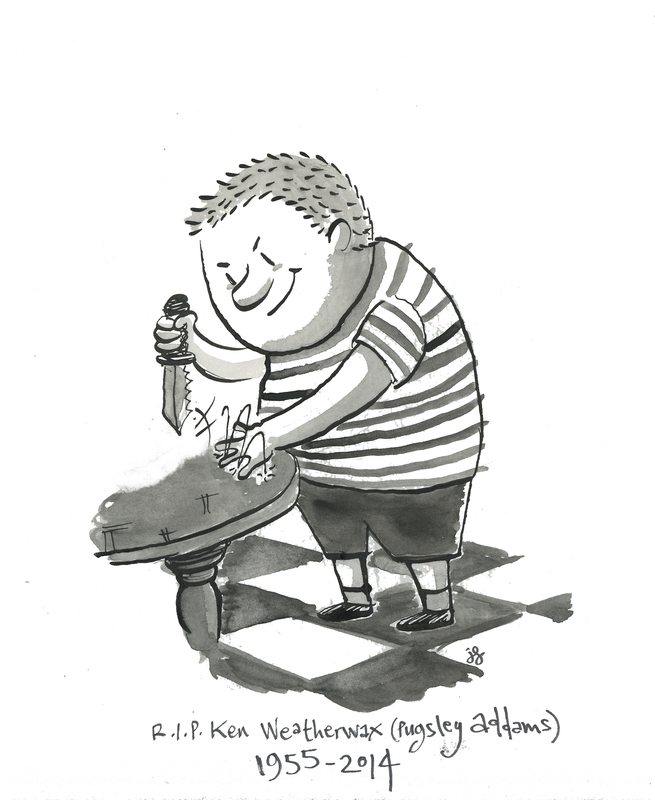 This is my little tribute to actor Ken Weatherwax, Pugsley in the original Addams Family TV series, who passed away yesterday. Chas Addams is one of my all time favorites illustrators and one of my biggest influences, I highly recommend you take a deep look at his work. He was a real master.